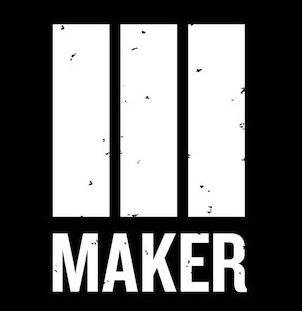 “You save the best for last,” said Maker Studios’ chief content officer Erin McPherson, as Maker kicked off 2014’s final newfront. And what a newfront it was: will.i.am! Miss Piggy! The Gregory Brothers! Morgan Spurlock! A bad lip-reading video starring executive chairman Ynon Kreiz! For a while it felt like Maker was the only MCN on YouTube. “It’s been a big year for us,” Kreiz said, referring to the company’s announced acquisition by Disney. That puts it under the same umbrella as Lucas Films, Marvel, and much more. While there was no corporate synergy on display at the newfront, the hosts promised that Disney-Maker crossovers were coming. Instead, Maker showed tools for advertisers to work with Maker creators. Maker Offers is a way for brands to get their messages into videos created by Maker talent at scale, while reaching a targeted demographic and getting metrics on campaign performance. Labs@Maker lets brands co-create content with top talent, including James Franco's production company Rabbit Bandini Productions and will.i.am. Maker also showed off Maker.tv, a new destination for serving curated content away from YouTube. It's a lean back experience and a way for Maker to build its own brand. Announced series included "Ithamar Has Nothing to Say," a comedy produced by Key & Peele; "ShayLife," an inspirational series starring YouTube star and Maker co-founder Shay Carl; and "Oh, You Pretty Things!," a scripted series about twentysomethings in Los Angeles. Documentarian Morgan Spurlock was on hand to announce Smartish, a channel that will create and curate entertaining and clever content. Will.i.am made an appearance to talk up the Maker Labs program and to perform three numbers with Cody Wise. "This partnership for me, this is what I’d want to do if I was starting from scratch," he said. "The Maker world is probably the best solution for creators, content makers…Is that the reason why you called it 'Maker'?" Pending regulatory approval, Disney will finalize its acquisition of Maker in just a few weeks. Relativity will look elsewhere. Looking to grow its presence online, Disney is buying one of the top multi-channel networks on YouTube, gaining Maker's 380M subscribers. Maker CEO Ynon Kreiz spoke at South by Southwest today, but didn't address Disney's possible acquisition of his company for $500 million.